Scheduled for release on November 16th, Pokémon: Let's Go! Pikachu and Eevee editions have already been labeled black sheep of the franchise. With its streamlined gameplay and deviation from Pokémon's more complex mechanics, debate has been had as to the game's compatability with future titles. 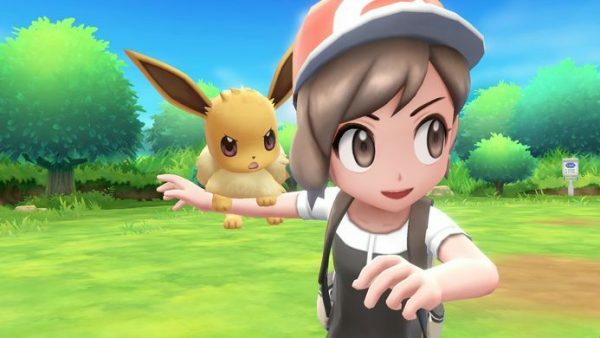 2019 will see the release of a core, more conventional Pokémon RPG - but will Let's Go! be compatible? Such difficulties are to be expected; after all, the series is in the process of jumping from the 3DS to the Nintendo Switch. It will be interesting to see whether Let's Go! Pokémon can be transferred a la an extention of the Pokémon Bank app. In the same interview, Masuda also explicitly confirmed the removal of abilities and held items, two core elements of the franchise and necessities for any kind of transfer process. A similar issue occured with the rerelease of the original Pokémon games on the Nintendo 3DS Virtual Console. Given their archaic nature, certain mechanics (for example abilities or their special stats) were inconsistent or absent entirely compared to the newer titles. Once Red, Blue and Yellow were avaliable on the system, Pokémon from these could be transferred to the newer games only and had their characteristics changed depending on a multitude of different numerical values. Complicated stuff, but essentially they were made perfectly feasible in the newer games. Time will tell whether transferring from Let's Go is a similar affair. While little is known about 2019's Pokémon title, it is known they'll be more like Ultra Sun and Ultra Moon on the 3DS than the Let's Go series with more complex and traditional mechanics. Yet the inability to transfer Pokémon would see an uproar not unlike that of 2003's Pokémon Ruby and Sapphire, whereby they were incompatible with the previous six games. This reassurance from Game Freak has been met very positively, with many fans hoping their Pokémon can join them for their jump to the Switch.